El-Kazzaz, A.A., F.A. Ebad and M.E. Abd El-Sadek, 2018. Variabilities on DNA level of two selected potato genotypes under seawater salinity. Applied Sci. Rep., 21: 30-37. El-Kazzaz, A.A., F.A. Ebad and M.E. Abd El-Sadek, 2018. Acclimation of potato via in vitro microtubers versus plantlets under saline conditions. Sci. Agric., 21: 49-56. El-Kazzaz, A.A., 2018. Sustainability of plant assets. BAOJ Biotechnol., Vol. 4, No. 2. .
El-Kazzaz, A.A., 2018. Phyto-Tissue Culture Bank (PTCB) for maintaining plant diversity. Agric. Res. Technol. : Open Access J., Vol. 18, No. 5. 10.19080/ARTOAJ.2018.18.556073. El-Kazzaz, K.A. and A.A. El-Kazzaz, 2017. Soilless Agriculture a New and Advanced Method for Agriculture Development: an Introduction. Agric. Res. Tech. Open Access J., 3: 1-10. Abou-Sreea, A.I.B., A.A.A.A. Yassen and A.A.A. El-Kazzaz, 2017. Effects of iron (II) sulfate and potassium humate on growth and chemical composition of Coriandrum sativum L. Int. J. Agric. Res., 12: 136-145. El-Din Solliman, M., A.A. Al-Khateeb, S.A. Al-Khateeb, H.A. Mohasseb and A. Elkazzaz, 2016. In vitro reliable regeneration protocol of tomato plants and efficient transformation system for transient gene expression in transgenic tomato varieties resistance to fungi. J. Food Agric. Environ., 14: 29-36. EL-Kazzaz, A.A., M.E.A. EL-Sadek and F.A. Ebad, 2016. Induction of in vitro tolerant potato plants to seawater via exchangeable cycles of selection. Egypt. J. Biotechnol., 51: 25-39. EL-Kazzaz, A.A., F.A. Ebad and M.E.A. EL-Sadek, 2016. In VITRO Microtuberization Under Sea Water Stress. Int. J. Agric. Sci. Res., 3: 110-113. Mahmoud, E.A., A.A. El-Kazzaz, M.E.D.M. Solliman, O.K. Ahmed, H.M. El-Shabrawi, S.A. Ghanem and H.A. El-Shemy, 2015. Isolation and cloning of genomic dna sequence encoding the pvPDF defensin gene. Int. J. Acad. Res., 7: 111-118. Abo-Sria Ebad, F., M.E.S.A. EL-Sadek and A.A. EL-Kazzaz, 2015. Micropropagation of four potato cultivars in vitro. Acad. J. Agric. Res., 3: 184-188. Radwan, A.A., H.N. Nassar, H.H. Aboassy, N.S. El-Gendy, A.A. ELkazzaz, K.A. Mohamed and A.A. El-Ghamery, 2014. Detection of DBT biodesulfurization strains via PCR and conservation analysis among different bacterial strains. Int. J. Chem. Biochem. Sci., 6: 1-10. El-Kazzaz, A.A., M. EL-Din Solliman, H.A.A. Mohasseb, A.M. Heikal, E.A. Mahmoud and H.S. Taha, 2014. Isolation, characterization and cloning of glyoxalase`s genes. Int. J. Acad. Res., 6: 176-183. El-Kazzaz, A.A, M.E. Solliman, H.S. Taha, H.A.A. Mohasseb, A.M. Heikal and E.A. Mahmoud, 2014. Production of transgenic tomato plants tolerant to drought and salinity. Int. J. Dev., 3: 47-65. Solliman, M.E., A.A. Elkazzaz, H.A. Mohasseb, A.A. Al-Khateeb and H.S. Taha, 2013. Molecular Characterization of Transgenic Tomato Expressing N Gene Confers Resistance to ToMV. J. Appl. Sci. Res., 9: 451-459. Nagiub, A., A.M.A. Samad, S.A. Ghanem, A.A. El-Kazzaz, U.I. Ali and M.F. Nermeen, 2012. Effect of salt stress on plantlets of Allium Sativum L. Igaside CV. J. Biol. Chem. Environ. Sci., 7: 15-29. El-Kazzaz A.A., H. El-Bagoury, I. Mahmoud, A.A. El Tantawy and A.A. Al-Ansary, 2012. Production of gladiolus germplasm via in vitro tissue cultures. J. Univ. Duhok, 15: 440-447. Yosuef, S.S., R.E. Moghaieb, A.A. El-Kazzaz, M.R. Rady, A.M. Amer and M.M. Saker, 2011. An efficient and re-producible protocol for regenerating transgenic rice plant. Arab J. Biotechnol., 14: 269-278. EL-Kazzaz, A.A., M.A. Mattar and M.E.A. El-Sebai, 2010. Callus induction from immature embryo, cotyledon and leaf explants of neem (Azadirachta indica). Egypt. J. Biotechnol., 35: 1-12. Gharab, H., I.A. Usama, A.A. El-Kazzaz and M. Hanafy, 2009. Optimization of rice regeneration system from mature seeds of five Egyptian rice cultivars. Afr. J Plant Sci. Biotechnol., 3: 63-66. El-Kazzaz, A.A., M.S. Hanafy and M.M. Abdel-Kader, 2009. In vitro selection of resistant rice plants against rice blast caused by Pyricularia oryzae via tissue culture technique. Arch. Phytopathol. Plant Protec., 42: 847-856. El-Kazzaz, A.A. and N.S. El-Mougy 2009. Watermelon resistance to Fusarium wilt via tissue cultures technique. Arch. Phytopathol. Plant Protec., 40: 384-391. EL-Kazzaz, A.A., F. El-Fiki, M. Abd El-Rahman, T.M. Nerman and H. El-Shabrawy, 2009. Molecular analysis studies of the Egyptian chicory Cichorium endivia L. Egypt. J. Appl. Sci., 24: 422-440. EL-Kazzaz, A.A., F. El-Fiki, M. Abd El-Rahman, T.M. Nerman and H. El-Shabrawy, 2009. In vitro mass propagation of the Egyptian Chicory (Cichorium endivia L) plant. Egypt. J. Appl. Sci., 24: 441-453. Osman, H.A., A.Y. El-gindi, H.S. Taha, A.A. El-Kazzaz, M.M.A. Youssef and A. Hoda, 2008. Biological control of root-knot nematode Meloidogyne incognita: 2- Evaluation of nematicidal effects of tagetes erecta tissue culture under laboratory and greenhouse conditions. Egypt. J. Phytopathol., 36: 33-44. Osman, H.A., A.Y. El-gindi, A.A. El-Kazzaz, H.S. Taha, M.M.A. Youssef and A. Hoda, 2008. Biological control of root-knot nematode Meloidogyne incognita 1- In vitro studies on callus induction from margold plants tagetes erecta L. Egypt. J. Phytopathol., 36: 19-32. Ghanem, S.A., U.I. Aly, A.A. El-Kazzaz, A. Abdel-Samad and N.M. Arafa, 2008. In vitro regeneration of Pelargonium graveolens. J. Genet. Eng. Biotechnol., 6: 15-18. Ghanem, S.A., A.A. EL-Kazzaz, A. Abdel-Samad and M.F. Nermeen Arafa, 2005. Factors affecting callus production of Pelargnuium graveolens in vitro. Egypt. J. Appl. Sci., 20: 595-604. El-Kazzaz, A.A. and A.M.A. Ashour, 2004. Genetically resistant cucumber plants to wilt pathogen via tissue cultures. Egypt. J. Phytopathol., 32: 1-10. EL-Kazzaz, A.A. and M.K. El-Bahr, 2003. Some factors affecting in vitro development of date palm (samany) plantlets and Molecular characterization. Bull. NRC. Egypt, 28: 101-108. EL-Kazzaz, A.A. and H.S. Taha, 2002. Tissue culture of broccoli and molecular characterization. Bull. NRC. Egypt, 27: 481-490. Badr, B.A., A.A. El Kazzaz, S.A. Ghanem and A.R. El Mahdy, 2002. Effect of gamma radiation on pigment and enzymes production in callus cultures of sunflower. Alexandria J. Agric. Res., 47: 59-66. EL-Kazzaz, A.A., 2001. Inheritance of resistance to Fusarium oxysporum f.sp. lycopersici in F2 tomato plants via tissue culture. Egypt. J. Gen. Cytol., 30: 51-59. EL-Kazzaz, A.A., 2001. In vitro propagation of Mulberry (Morus alba L.) using pistilate catkin flowers. Egypt. J. Gen. Cytolo., 29: 141-147. EL-Kazzaz, A.A. and N.S. El Mougy, 2001. Inheritance of disease resistance in cucumber plants to Fusarium solani via tissue culture. Egypt.J. Phytopathol., 29: 57-68. EL-Kazzaz, A.A. and M.K. El-Bahr, 2001. A method for in vitro propagation of Egyptian date palm cultivar samany. Arab.J. Biotech., 4: 299-306. Okasha, K.H.A., M.K. El-Bahr, A.A. EL-Kazzaz and S.A. Bekheet, 2000. Improve-ment of in vitro propagation of globe artichoke. Bull.NRC, Egypt, 25: 307-321. EL-Kazzaz, A.A. and M.N. Naglaa, 2000. Flavonoid content of in vitro micropropagation of mulberry (Morus alba L.). Bull. NRC, Egypt, 25: 13-22. Saker, M.M., A.A. Reda, A.E. Mohamed, M.K. EL-Bahr and A.A. EL-Kazzaz, 1999. Induction of embryogenic callus and plant regeneration in faba bean. Egypt. J. Agron., 21: 87-97. EL-Kazzaz, A.A., M.M. Saker and H.H. Mona, 1999. In vitro micropropagation and molecular genetic analysis of cactus (Echinocactus grusonii) variants using SDS-PAGE and RAPD fingerprinting. Arb.J. Biotech, 2: 79-88. EL-Kazzaz, A.A., M.M. Abdel-Kader, H.H. Mona and H.A. Hussein, 1999. Molecular markers for somaclonal variants of faba beans resistant to root-rot (Fusarium solani). Arb. J. Biotech, 2: 167-180. EL-Kazzaz, A.A. and M.M. Abdel-Kader, 1998. In vitro selection of tomato callus culture and regenerated plants on culture filtrate of Fusarium oxysporum f.sp. lycopersici. Egypt.J. Phytopathol., 26: 37-50. Reda, A.A., A.A. EL-Kazzaz, S.A. Ghanem and M.K. EL-Bahr, 1997. A study of some factors affecting callus induction of Egyptian Vicia faba L. in tissue culture. Bull. NRC, Egypt., 22: 189-199. EL-Kazzaz, A.A., G.E. Fahmy, M.K. EL-Bahr, M.S. Hanafey and S.H. Moemen, 1997. Propagation of Mulberry (Morus alba L.) via tissue culture. Bull. NRC., Egypt., 22: 175-188. EL-Kazzaz, A.A. and S. Malepszy, 1997. A study of genetic transformation of Cucumis sativus L. via Agrobacterium tumefaciens through tissue culture. J. Agric. Sci. Mansoura Univ., 22: 757-770. Fahmy, G.E., M.K. EL-Bahr, A.A. EL-Kazzaz, M.S. Hanafey and S.H. Moemen, 1996. Factors affecting in vitro multiplication of mulberry shoots. Al-Azhar J. Agric. Res., 23: 167-184. EL-Kazzaz, A., 1996. Transmission of inherited somaclonal variation in F3 cucumber plants to its regenerated plants via tissue cultures. Egypt. J. Appl. Sci., 11: 304-321. EL-Kazzaz, A.A., 1995. In Vitro Stability of disease resistance to Fusarium oxysporum in F3 cucumber plants via tissue culture. Egypt. J. Appli. Sci., 10: 640-655. EL-Kazzaz, A.A.A., 1994. The production of antimicrobial agent(s) from in vitro Cucumis sativus callus cultures. Bull. NRC, Egypt, 19: 245-245. Reda, A.A., A.A. EL-Kazzaz, S.A. Ghanem and H.A. Moursy, 1993. In vitro multiplication and tuberization of potato (Solanum tuberosum L.). Egypt. J. Appl. Sci., 8: 627-640. Malepszy, S. and A. EL-Kazzaz, 1990. In vitro culture of Cucumis sativus. XI. Seleciton of resistance to Fusarium oxysporum. Acta Horticulturae, 280: 455-458. El-Kawokgy, T., M.H. Hamoda, A.N. Sharaf and A. El-Kazzaz, 1985. The relationship between cellulase and toxin production of physiological races of Helminthosporium oryzae and their pathogenicity. Egypt. J. Microbiol., Special Issue: 91-98. EL-Kawokgy,T., K.A. Ahmed, M.H. Hamoda and A. EL-Kazzaz, 1984. The mutagenic effect of MNNG and UV on Helminthosporium oryzae. Bull. Fac. Agric. Univ. Cairo, 35: 1483-1494. EL-Kazzaz, A.A.A., 1983. Genetical studies on Helminthosporium. Thesis M.Sc. 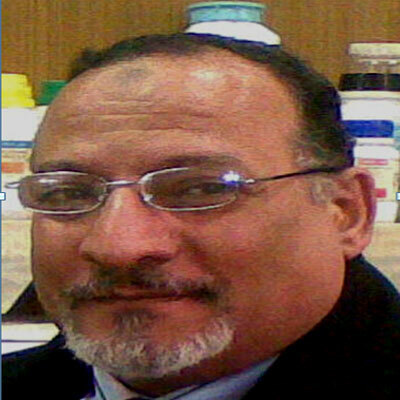 Cairo University Faculty of Agricukture,.